Driving along Route 66 feels simple. It’s a mindless act: rubber tires against hot asphalt, gravel, and dirt roads; roadside rest stops filled with milkshakes and french fries; photo stops at historic and aging places. As a woman in Albuquerque told me, “Route 66 really reminds you to slow down and enjoy life." But The Mother Road—as John Steinbeck dubbed Route 66 in his 1939 novel, “The Grapes of Wrath”—is complex and layered, filled with contested histories and firm identities. 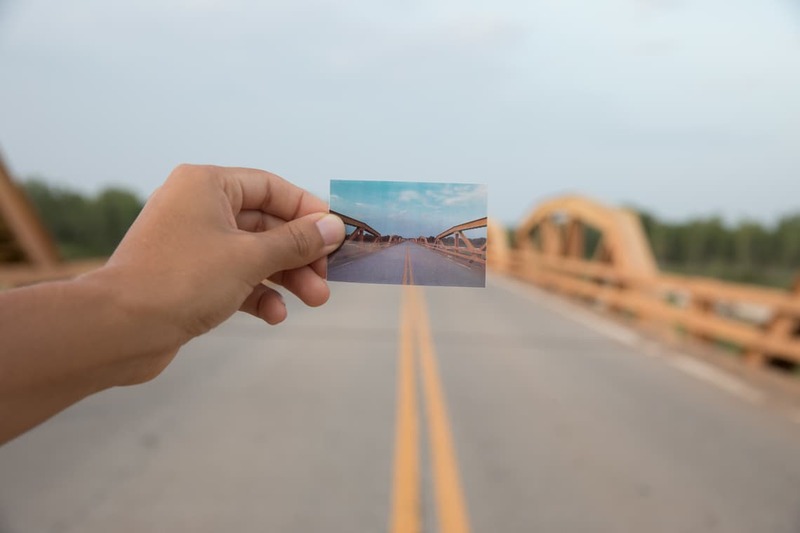 Stop in any roadside community and talk to even one individual, and you’ll begin to excavate the true and personal histories from the mythology of Route 66. Ask any small-town resident about their childhood and they’ll share stories about how the communities of the Route helped mold their lives. Everything on Route 66 simultaneously feels familiar and foreign. Despite the fact that the small towns of Oklahoma, Texas, and New Mexico are thousands of miles from my hometowns of Massachusetts and North Carolina, each main street felt identical to my own. Yet, as we drove through an evolving landscape—where the green hills unfolded to expose golden plains, and the golden plains thinned out to reveal shrub-freckled copper clay—I found myself staring out the car window, wanting to capture a snapshot of it all. And, indeed, I spent every stop along the way snapping photos of novel landscapes and comfortable small towns using my Polaroid Snap Touch instant digital camera. 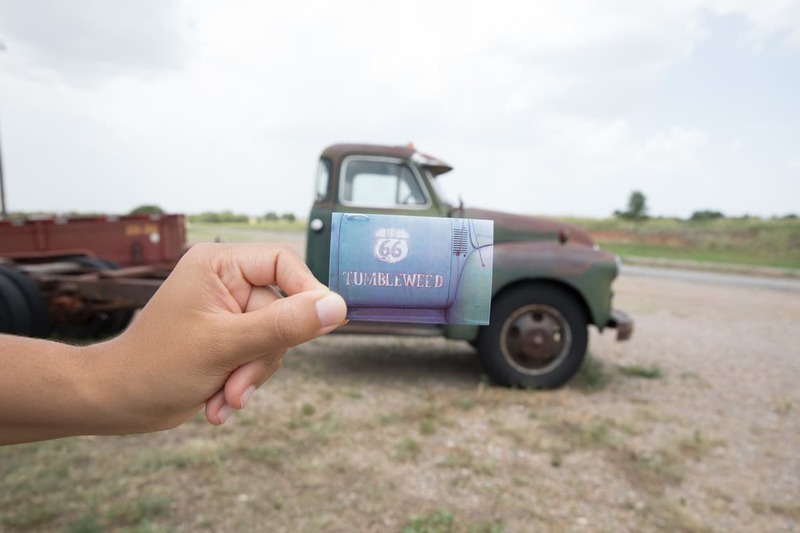 Right before the Texas state line in Oklahoma sits the Tumbleweed Grill & Country Store. Texola, OK, the town in which the establishment stands, has a population of 35 people, and the Tumbleweed Grill’s owner, Masel, is considered by many to be the town’s proverbial mayor, one-woman visitor’s center, community chef, and artist-in-residence. Masel quite literally stumbled upon this community when her car broke down several miles down the road over a decade ago. Upon seeing the building that later became the Tumbleweed Grill, she fell in love and immediately decided Texola was home. A Route 66 pickup truck sits outside of the restaurant, in front of a mural that aptly reads, “There’s no other place like this place anywhere near this place so this must be the place." Cadillac Ranch by Ant Farm (Lord, Michels and Marquez) copyright 1974. David Kafer. 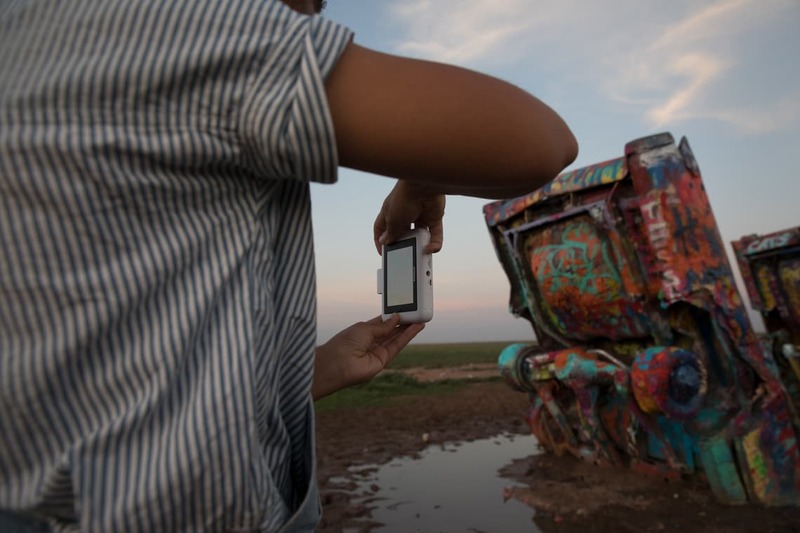 Drive one hundred miles west through the Texas panhandle in one-hundred-degree summer heat and you’ll stumble upon a community of another kind—a community of ambling, transient visitors at one of the most recognizable stops along the Route: Cadillac Ranch. 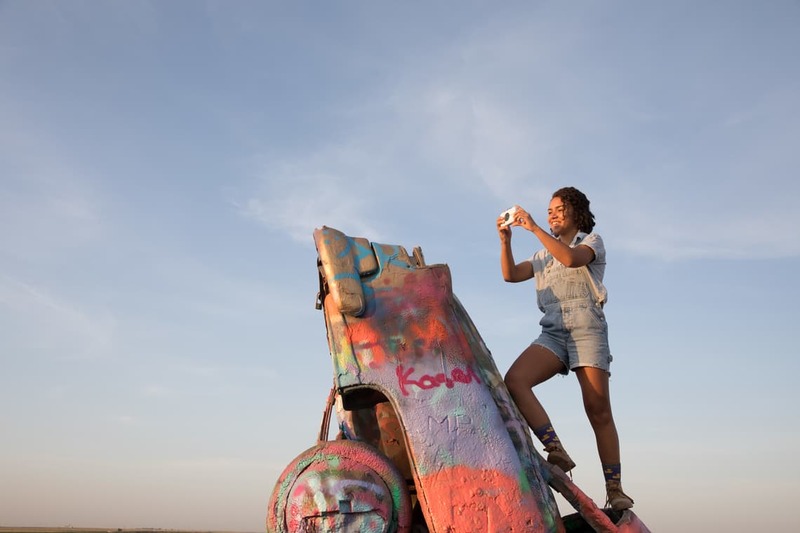 The public art installation in Amarillo, TX and its painted cars simultaneously represent steadfast structural support and perpetual evolution. 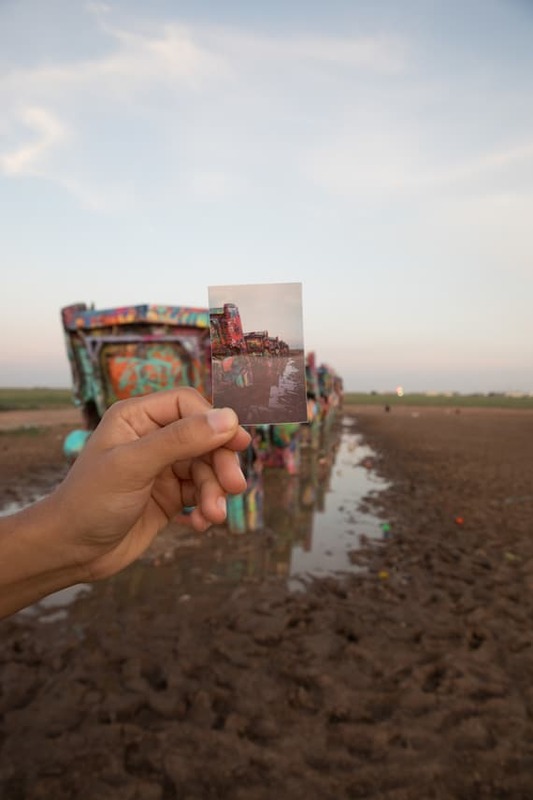 We first attempted to visit Cadillac Ranch during an afternoon heatwave, but couldn’t clearly see the famous cars due to the dozens of Australian tourists scattered around them. Like thousands of other annual international tourists, they came to America just to drive along the Mother Road, to see the wide swaths of open land, and to locate a sense of unity in a place so far from home. Though the travelers and the attractions evolve with time, the early 19th-century asphalt of Route 66 and the communal feelings of the Mother Road have brought people to America’s disparate places, together, for nearly a century. Drive 36 miles to the west of Amarillo and you’ll find yourself in Vega, TX. Vega (pop. 884) is the epitome of hometown Texas, where there are four history museums, several preserved buildings, and dozens of passionate residents, including Keila, the director of the Oldham County Chamber of Commerce. 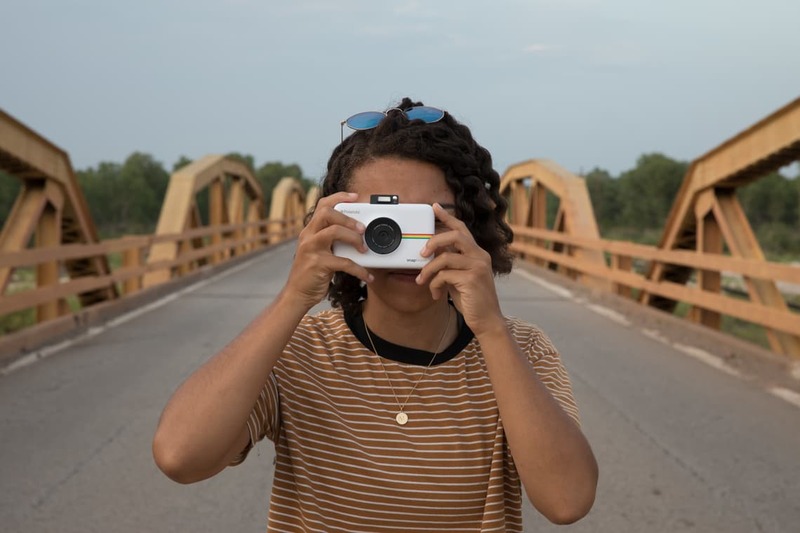 Keila met us at 9 a.m. at the spot where Route 66 bisects the town, and spent four hours with us, meticulously chronicling the community’s history, taking us to nearly every historic building, and greeting everyone she met with both a, “Hey, sweetie,” and a hug. Keila even took us to the Midpoint Cafe, just down the road in Adrian, TX -- famous for their connection to the Disney Pixar movie, “Cars”, and their designation as the halfway point of Route 66. There, she introduced us to the owners of the establishment, the “Midpoint Ugly Pie”, and the idea that, “This place has so much to offer, if people are willing to stop by and take a look." So much of Route 66 is about the organization of bodies, of buildings, and of communities. 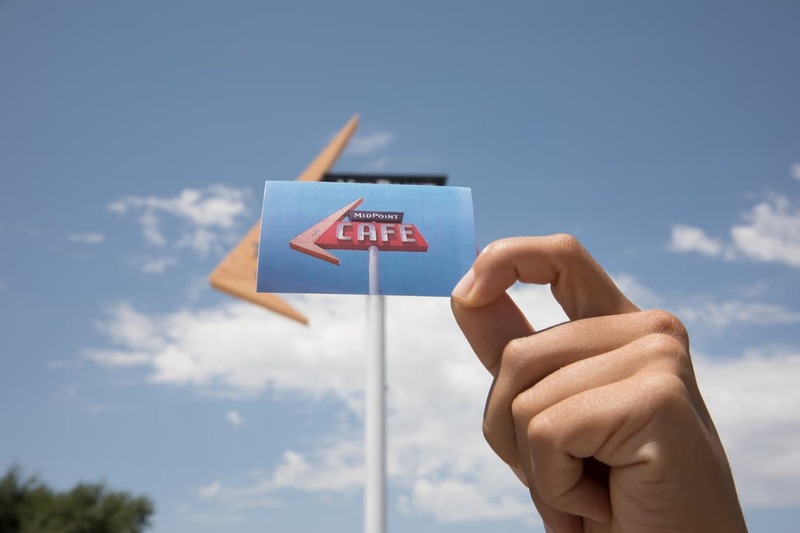 People orient themselves adjacent to one another, buildings are oriented atop Route 66, and communities orient themselves in the context of the enormous and rapidly changing environments. The Mother Road doesn’t merely transport people and goods from place to place; rather, it grounds people, holds them steady, and allows those who venture onto its pavement to build a community wherever they stand.